If she was a legendary character Elizabeth CONTAL would be a fairy or a magician, she inspires the imagination through her creations. The artist shares with us his profound questions about Man, through the symbolism of each stone, its energy and its vibration. Each one finds in the creations of Elizabeth Contal the vibration which suits him, the jewel which one carries in agreement major mineral and in agreement with its own identity. 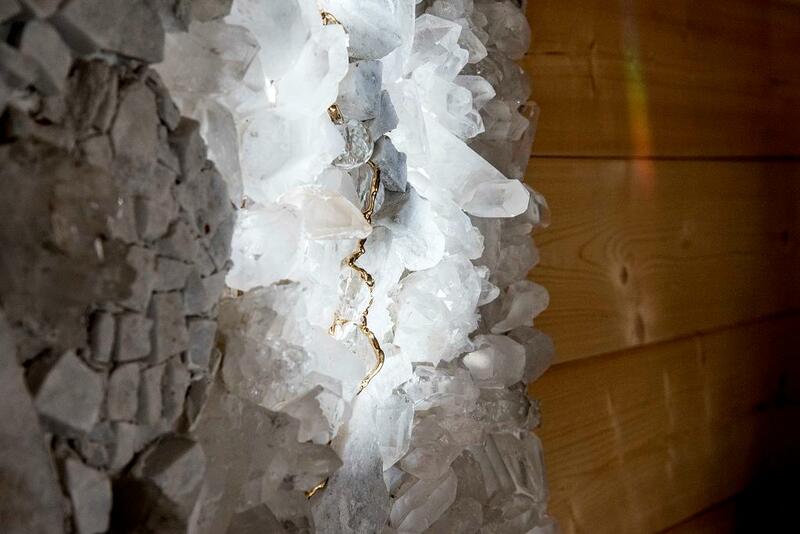 With 25 years of experience through the energy of stones (lithotherapy), choosing them by touching them, working them and loving them, Elizabeth could only arrive at this evolution: the creation of the Crystal Room . 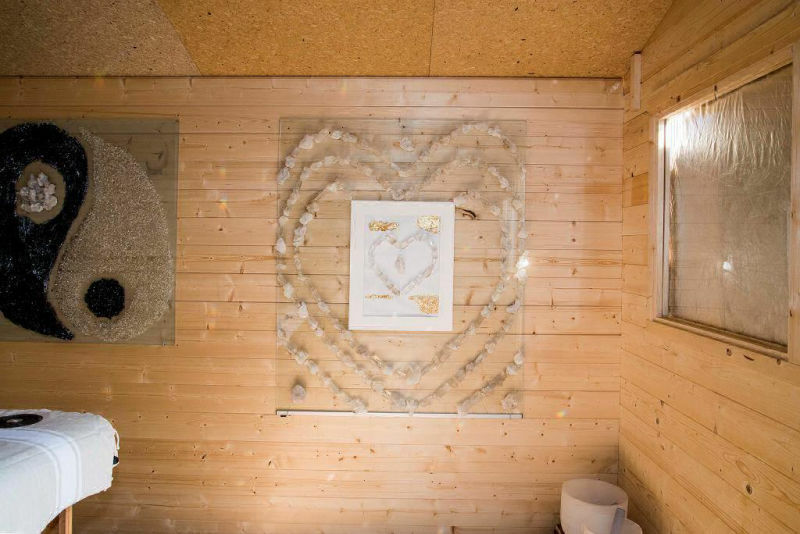 From session to session of : yoga, meditations and personal development, the idea came to her, as a matter of course, to create this Crystal Room which would be a place of direct connection between the quartz - the human body and the spirit. The result of an old inspiration of the crystal dome with its powers, present in the history of the Atlanteans and the giant crystal cave of Naïca in Mexico, the Crystal Room transcribes its powers with benevolence and love. 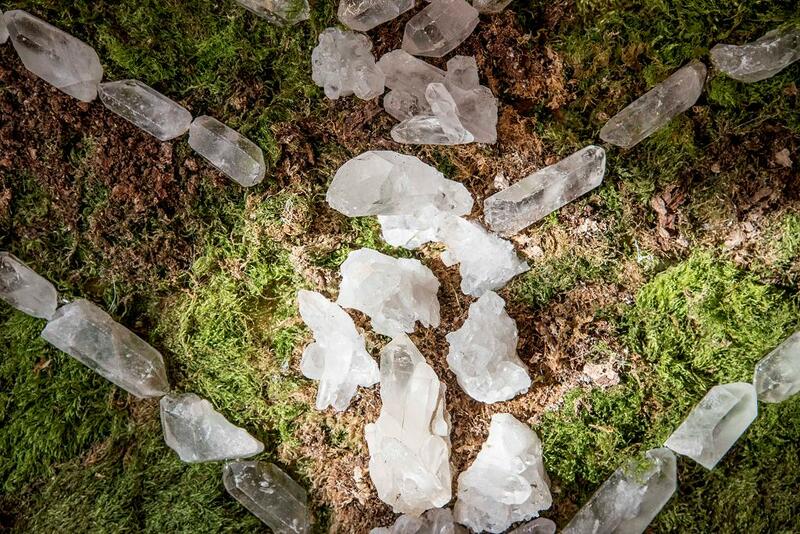 « Since crystals are receptors - transmitters and amplifiers of energy, they reach to naturally return a resonance or radiation, capable of improving the physical and psychological well-being. 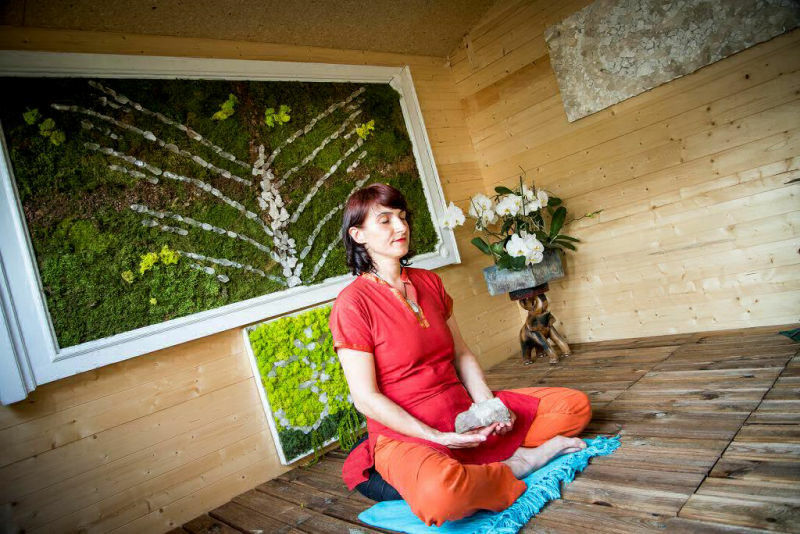 Hence my desire to create a "geode, a cave, a Crystal Room » that becomes both rejuvenating and soothing, through guided meditations, body massages or relaxation. Light beam walls allow you to settle, to rest, to empty one's mind, to recharge one's batteries. The deep relaxation, the restoration of energy flow, the benefits of a body care increased tenfold, such are the results obtained, limpid as rock crystal ... ". Why the choice of rock crystal ? « Because the crystal is the stone of light. Through its transparency we can see there a rainbow, where all the colors of the 7 chakras are reflected. It is the transmission stone of thought, of clairvoyance. We are going into this era of telepathy and intuition where the 5 senses are exacerbated to arrive at the 6th, ... I let you guess what this sixth sense refers to : the chakra of the heart! The concept of the Crystal Room has been filed in march 2015 at the INPI and the first Crystal Room by Elizabeth Contal® was born in Nice. It was dedicated to relaxation and guided meditation. The summer of 2016 was marked by the meeting of Elizabeth with a decisive person in the evolution of the Crystal Room. Carole BRUNEL, focused on the Human Capital and the global well-being of the person, gives support and shows the way thanks to its holistic approach. Its mission is to spread the light by helping others learn what is their inner truth. Quickly a strong friendship and a beautiful complicity united them. With an international commercial background, Carole BRUNEL then agreed to develop this concept of light for professionals of well-being, on a global scale. The new era of spa is indeed to integrate the emotional and energetic dimensions for a global well-being, in other words to offer a holistic care, combining body and mind. - stand out from the competition and improve the profitability of their cost center.